Update: Promo code is expired, but you can still get it for $27. 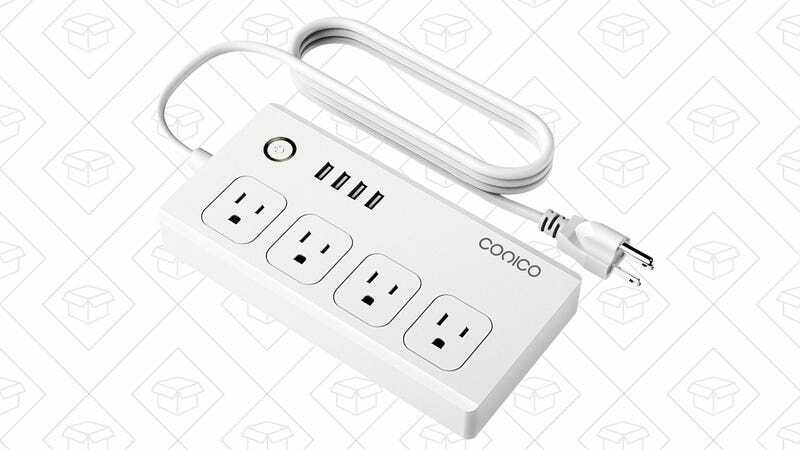 At $24, this smart power strip costs about as much as a standard smart plug, but it includes four smart AC outlets that you can control individually with your smartphone or Alexa, plus four USB ports too (though you can only control them as a set). Why has nobody else thought to make this yet?